As of 2013, this camera has been updated to be even higher resolution than before. Now it is 540 TVL Resolution with a 1/3 inch SONY CCD so it provides a full 80 degree angle of view with a 3.7mm Lens. 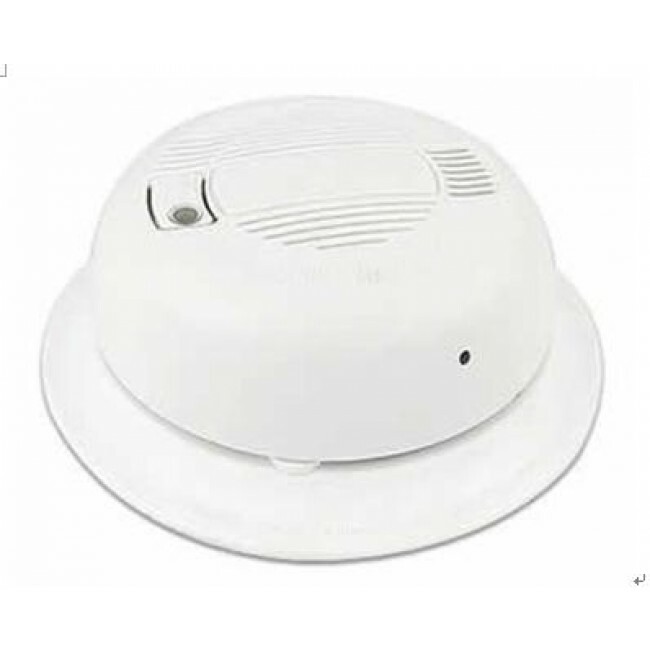 This hardwired ceiling mount Smoke Detector Camera includes a 0.1 Lux, 540 TV lines Sony CCD camera with a 3.7mm lens which is perfect for overhead viewing with a 80 degree angle of view! 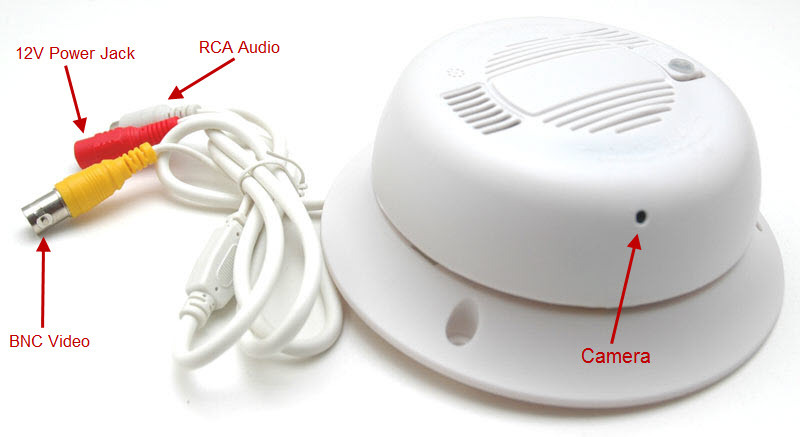 It also has a built-in microphone for listening in. 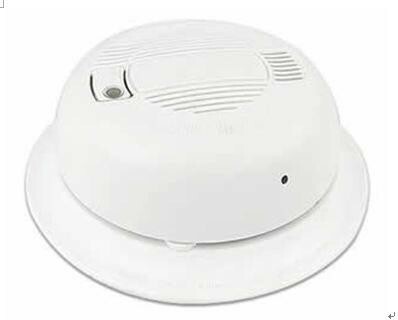 Great for store managers who wish to keep an eye on employee's from above, cash register exchanges & more! 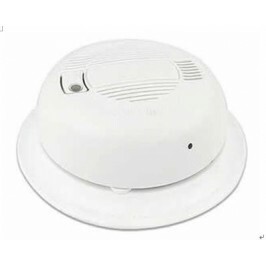 Best of all, because it looks like a regular smoke detector, you're able to place as many of these as you need in the areas you want covered. 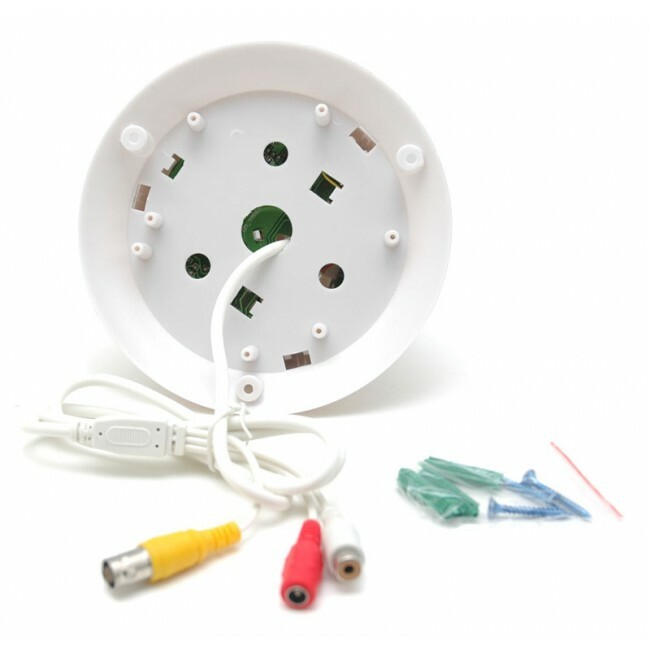 Automatically adjusts to light changes and is perfect for ceiling mounting. 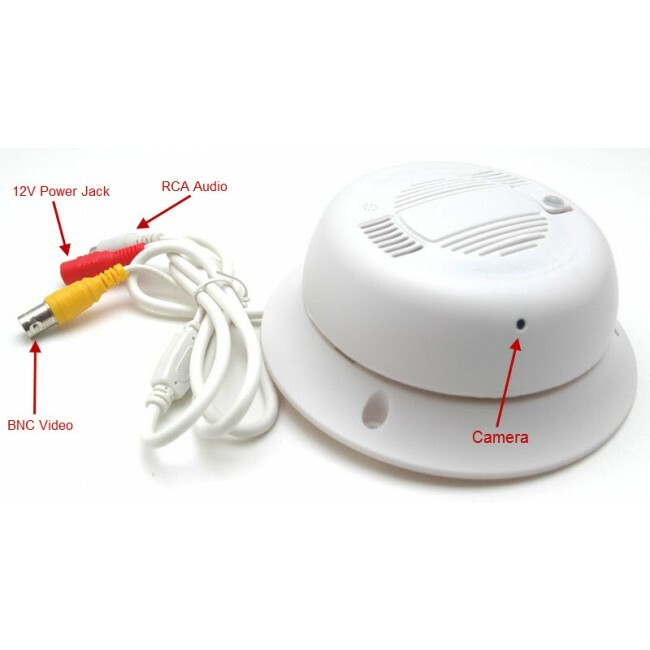 Hidden Smoke Detector Camera with Microphone 0 out of 1 5 based on ratings. user reviews.